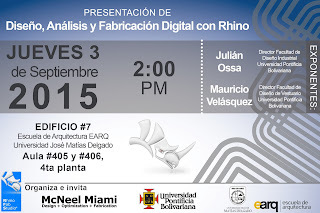 Please join us for a presentation on Design, Analysis, and Digital Fabrication with Rhino at Universidad José Matías Delgado in El Salvador. 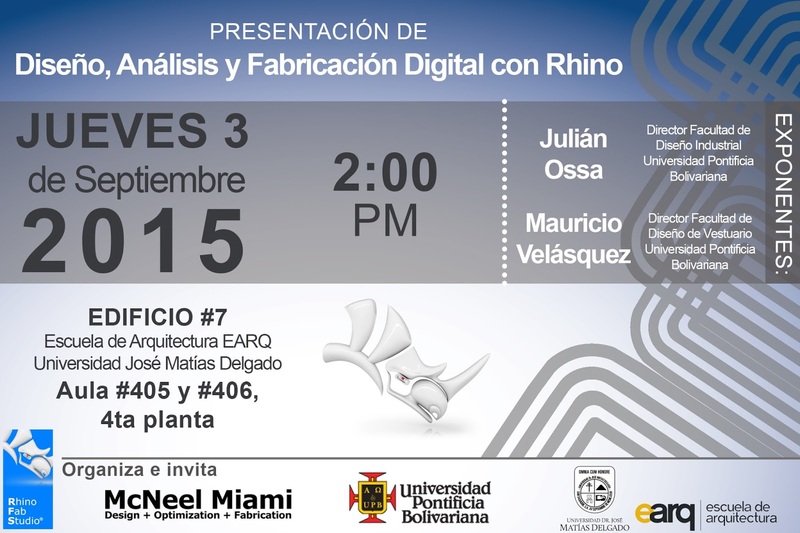 Julián Ossa, Industrial Design Faculty Director, and Mauricio Velásquez, Fashion Design Faculty Director from Universidad Pontificia Bolivariana (UPB) will be presenting on: UPB's RhinoFabStudio, UPB's Digital fabrication line of courses, the advantages of using Rhino and Digital Fabrication in architecture, industrial, and fashion design. For more information please contact Claudia Aguilera.